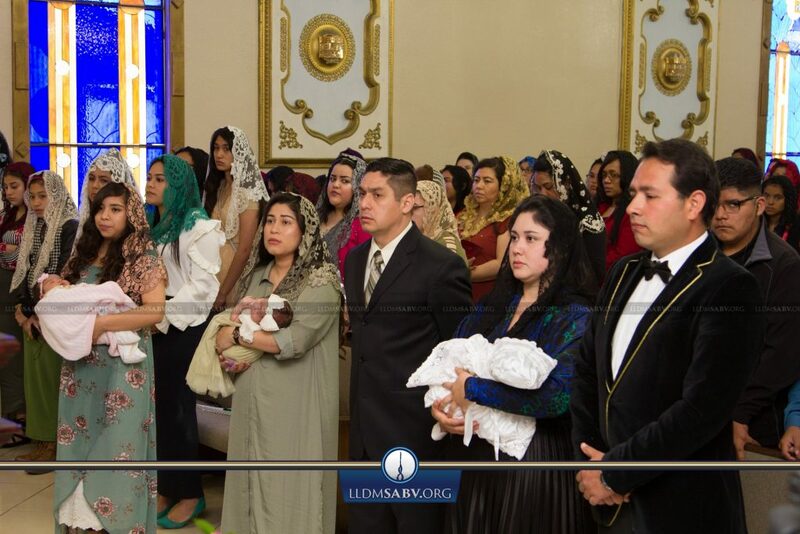 SAN ANTONIO – After our morning sermon, Minister Louis Cruz presents our newborn sister, Zahari E. Flores, before the Lord’s service accompanied by her mother, Sister Martha Flores, and the rest of the members of the church. In the second presentation, Minister Louis Cruz also lifts our baby sister, Hannah E. Vallin, to the Creator in prayer accompanied by her parents, Brother Lucas Vallin and Sister Jackie Vallin, and the rest of the congregation. In the final presentation, Brother Fares E. Estrada and Sister Anavictoria Estrada bring their daughter to be lifted up in prayer to the Lord Jesus Christ. Minister Louis Cruz prays for prosperity for our baby sister, Phoebe G. Estrada, in presence of the brethren. May God continue to bless the Flores, Vallin, and Estrada families!